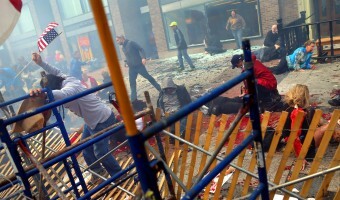 Blood on the streets of Boston looks at the 2013 Boston Marathon bombing in which 3 people were killed and 264 injured, some critically. 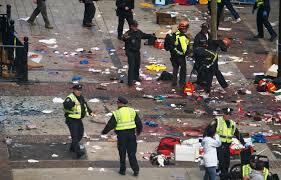 A review of the main elements of victim assistance accorded to those impacted by the 2013 Boston Marathon bombings. 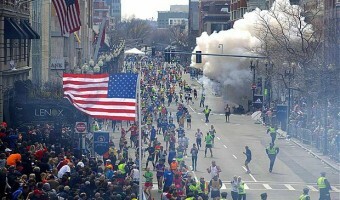 This report analyses the assistance provided to survivors of the 2013 Boston Marathon bombing, in which 3 people were killed and 264 were injured. Mental health support provided to survivors and witnesses, and conclusions. 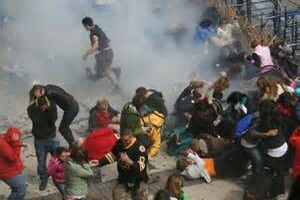 The services provided to survivors and witnesses of the Boston bombing. 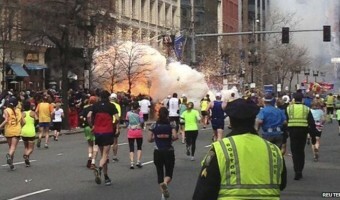 The security response to the bombings, and the financial support provided to survivors. 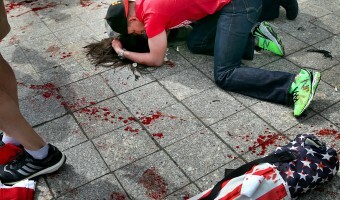 Ellen Sexton-Rogers was injured in the Boston Marathon bombings in April 2013. She told AOAV of her experience of the bombing, and how her life has been dramatically changed since. 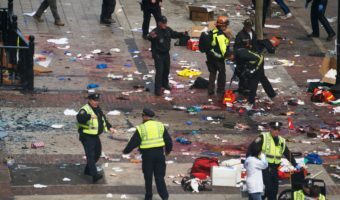 A survivor of the Boston marathon bombing told AOAV of the importance of mental health and emotional support, and the difficulty of living miles away from other survivors. 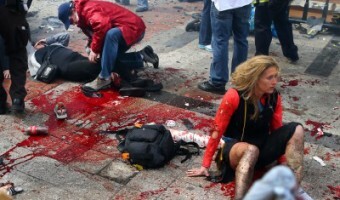 Karen Brassard was standing at the finish line of the 2013 Boston Marathon with her husband, daughter, and some family friends when an IED concealed in a backpack was detonated beside them.